We’ve spoken here more than once about the fact that jurors, unlike most attorneys, tend to be visual learners who like to be shown, not told. The best way to show them what they need to know, as we have said, is through litigation graphics. Science has also taught us that the best way to keep a jury’s attention is by telling a story in the courtroom. These insights obviously have major implications for how trial lawyers should use the arts of persuasion in a jury trial. What about a bench trial or an arbitration? Here, the decisionmaker is trained as an attorney. Do we toss out all that we know about jury trials and proceed in an entirely different manner? Not at all. First, narratives are just as important in a trial before a judge as they are in a jury trial. Judges are human beings, and like all human beings, they have minds that search constantly for an organizing principle, a way to tame the vast river of information that flows to them in a trial. A narrative is the best way for them to do that. Even a brilliant judge who happens to be an aural learner, not a visual learner, needs some way to organize data. That’s where your narrative comes in. (“First this happened, then this happened, then something else happened.”) Not only does story-telling make the trial lawyer’s job’s easier by making his or her case easy to understand; it also makes the case easier to remember. After all, judges are not computers. They come to any case with their human values, perspectives and predispositions. A narrative will help them connect the case with these values and will help them build a story in their mind, based on those values and on the information they receive at the trial. The same is true with litigation graphics. Even someone who learns predominantly through aural or kinesthetic means can still find a chart or a timeline interesting and helpful as a way of organizing information. For example, in Markman hearings, which occur exclusively before judges, patent lawyers almost invariably present diagrams of the patent figure or blow-ups of the patent language. In hearings like these and in bench trials, a trial lawyer may sometimes need fewer litigation graphics, but that doesn’t mean that the lawyer shouldn’t use any at all. 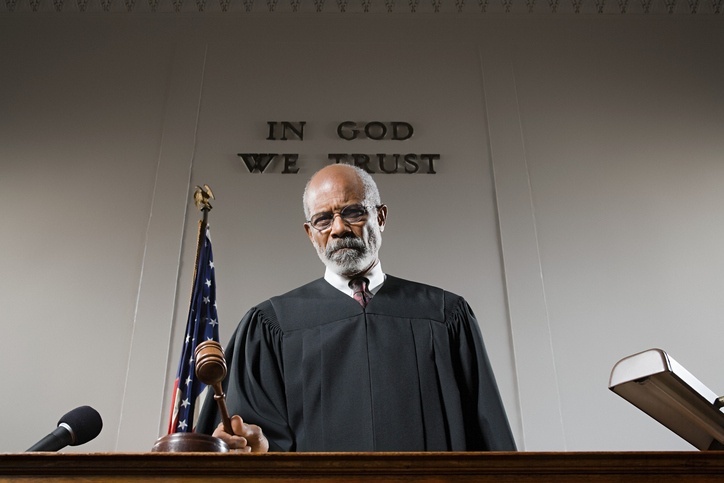 Just as top trial firms often use mock juries to test their case on before the actual trial, they can use “mock judges” in the case of a bench trial. If their budget permits, they could find a retired judge, possibly someone who knows the judge in the case, and present their evidence before him or her. They can ask the judge what types of evidence and themes were most convincing, and which demonstratives did or did not work. It’s another good practice in presenting a case to a judge who is the decisionmaker. Mock Trials: Do They Work? Are They Valuable?